Rider University is also featured in our ranking of the Top 15 Online Master’s in Forensic Accounting. In Sweigart Hall, the College of Business Administration led by Dr. Cynthia Newman awards the 120-credit Accounting B.S.B.A. for Rider University undergrads with Big Four internships like Deloitte, Beta Alpha Psi Chapter events, and an optional SAP Student Recognition Award Certificate. Chaired by Dr. Mitchell Ratner, the Finance B.S.B.A. follows a 120-credit, AACSB-accredited curriculum specialized in Financial Services Marketing or Financial Management with a Shanghai Study Tour and DECA Competition experience. The Rider MBA directed by Dr. Ronald Cook admits average cohorts of 18 in Lawrenceville or online via Canvas for a 52.5-credit Finance Concentration that boasts 93 percent job placement at Field & Higgins, KPMG, Mercadien, Eisner Amper, and more. Fulfilling Jersey CPA requirements, the 30-credit, 18-month Master of Accountancy under Dr. Margaret O’Reilly-Allen offers evening or online courses in Business Analytics, Finance, Forensic Accounting, and Global Business tracks. Advised by Dr. Feng-Ying Liu, the M.S. in Corporate Finance partners with Bank of America for a 30-credit, 12-month sequence of Web-based courses like Treasury Management for elite CFA certification with median $143,530 pay. Rider University originated on October 2, 1865, when Henry Bryant, Henry Stratton, and William Whitney started the Trenton Business College in Temperance Hall on South Broad. In 1866, Newark Institute teacher Andrew J. Rider assumed the role of its principal. That Fall, the first female students joined the Ladies Department. In 1880, Rider and William B. Allen bought it from the Bryant & Stratton founders. Seventeen years after, the New Jersey Legislature chartered it as Rider Business College. In 1927, the first graduate program for a Master of Accounts was started. Nonprofit since 1937, Rider achieved full regional accreditation in 1955. In 1959, President Franklin F. Moore acquired a 283-acre tract for its Mercer County campus. Rider College inaugurated its Master of Business Administration in 1968. Accredited by the AACSB in 1993, it finally became Rider University on April 13. 1994. One decade later, the Center for the Development of Leadership Skill was built. Endowed for $58.7 million, Rider now employs 248 full-time faculty teaching 5,150 Broncs from 85 nations online and on-site with 150+ clubs like Future Business Leaders of America. The U.S. News & World Report ranked Rider the North’s 35th best college and 36th top value. Times Higher Education placed Rider University 324th overall. On June 21, 2018, Rider University received an Institutional Status Report from the Middle States Commission on Higher Education (MSCHE) that reaffirmed the Level V accreditation satisfactorily under the next 2026 self-study evaluation under its seventh president, Dr. Gregory G. Dell’Omo, who accepted the Mayor’s Award for Economic and Community Development. Located 39 miles down Interstate 95 in Philly, this significant six-state Northeast Region accreditor is recognized by the U.S. Department of Education for federal aid eligibility in Rider’s 71 undergrad and 35 post-grad degrees. Further, the College of Business Administration maintained accreditation from the Association to Advance Collegiate Schools of Business (AACSB) on May 10, 2017. The Certificate in Investment Analysis Program is also approved by the Chartered Financial Analyst (CFA) Institute for the Level 1 Exam. Rising into Rider University is classified “moderately difficult” by Peterson’s because just 6,389 of the 9,519 Fall 2017 applicants were selected for 67 percent acceptance chances. First-year Broncs seeking the Accounting or Finance B.S.B.A. must complete at least 16 academic units in high school. Passing 150 GED, 500 TASC, and 9.0 HiSET scores are permissible. In 2019, test-optional admission was added for students with minimum 3.0 GPAs. On average, freshmen present a 3.44 GPA, 1113 SAT, and 23 ACT mark though. Transfers have a median 3.25 GPA during 12+ non-remedial credits at accredited colleges. The College of Business Administration Co-Op Program requires junior status with 60 credits, including ACC 310, graded over “C.” Rider MBA entrants must fulfill prerequisites with four-year bachelor’s and 3.0 GPAs. Averages of 3.3-4.0 qualify for GMAT waivers. Otherwise, master’s students present a 499 mean score. International post-grad majors need a 79 TOEFL iBT, 6.0 IELTS, or 53 PTE English test mark. Rider University has freshman deadlines of November 15th for Early Action and January 15th for Regular Decision. College of Business Administration transfers apply until April 1st for Fall or December 1st for Spring. International undergrads must file by March 15th or November 1st. The Rider MBA has rolling admission until current September 4th, October 23rd, January 24th, March 21st, May 18th, and July 6th starts. The Master of Accountancy has July 15th and December 1st deadlines. The Executive MBA only considers candidates through August 1st. Accordingly, finish the Rider or Common Application online for $50 (or with a fee waiver). Have transcripts mailed to 2083 Lawrenceville Road in Lawrenceville, NJ 08648. Other steps include the testing reports, professional résumé, one-page objectives statement, two recommendation letters, and personal interview. Find more by contacting (800) 257-9026 or admissions@rider.edu. For 2018-19, Rider University charged full-time Accounting and Finance B.S.B.A. majors $42,120 annually. Overload credits above 18 were $650 each. Taking 1-11 credits cost $1,220 apiece. Undergrads paid the $145 activities fee and $225 technology fee each term. Distance learning courses assessed a $35 fee. Living at the Lawrenceville campus’ dorms like Lincoln Hall added $5,010 to $6,640 by term. Standard 14-meal plans for Daly Dining Hall were $2,630 extra. Rider budgeted $1,500 for books and $2,500 for miscellaneous. Annual bachelor’s study equaled about $62,140 on-site and $46,860 at home. The College of Business Administration billed master’s tuition of $1,100 per credit. For example, the 30-credit MAcc totaled $33,000. Rider MBA cohorts spent $57,750 overall. The Executive MBA has an all-inclusive $55,000 price. According to the NCES College Navigator, the Financial Aid Office on Bart Luedeke Center’s 2nd Floor gets 89 percent of Rider Broncs assistance packages averaging $23,158 for $83.78 million combined. Business funds include the George & Marianne Battista Scholarship, Larry Bailey Endowed Scholarship, Robert Waters Memorial Scholarship, Edmund Dyjack Memorial Scholarship, George Hill Memorial Scholarship, Joseph & Elizabeth Speciale Memorial Scholarship, Frank Suplee Endowed Scholarship, Helen Elizabeth Kemp Pendyke Scholarship, and Beta Alpha Psi CPA Review Scholarship. The New Jersey Society of CPAs awards a $6,000 Accounting Scholarship for in-state majors taking 12+ credits with GPAs over 3.2. Presidential Scholarship recipients earn $26,000 each year if minimum 2.7 GPAs are kept. The Norm Brodsky Idea/Business Concept Competition has a November 18th deadline for full-tuition prizes. Federal resources, such as the Pell Grant and Work-Study Program, require FAFSA forms coded 002628. The New Jersey HESAA offers the Stars Scholarship, Foster Care Scholarship, Governor’s Urban Scholarship, Tuition Aid Grant, and Opportunity Grant too. 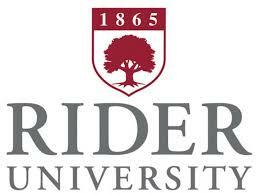 Keep learning about Rider University at the College of Business Administration website.